We provide support and advice for LGBTI+ young people from 14-23 years to live healthier, happier lives. Here on our website, you can learn about coming out, your mental and physical health, and what it means to be LGBTI+. Monday Chats, our one to one support service. 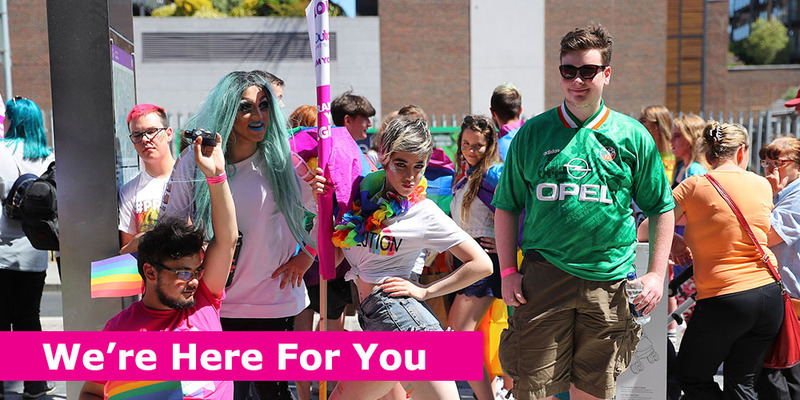 Friendly LGBTI+ youth groups all over Ireland. Information and referrals from our LGBTI+ friendly directory.